As a shareholder in Sasol, you doubtless wince at the filling station whilst filling your motor car with 93 unleaded at R16.85 per litre in Gauteng. Only in March 2018, you were paying R13.54 per litre for that same petrol. This means that a 60 litre petrol tank for a small to medium sized sedan car is costing R1,000. But, as a Sasol shareholder you have had compensation for that pain at the pump because the share price of Sasol since March 2018 is currently over 25% higher, as much as the cost of petrol has gone up. Sasol remains one of South Africa’s pre-eminent companies and one of the most valuable at over R300 billion in market capitalisation. The Khanyisa BEE transaction gives 20% direct black ownership in Sasol South Africa Pty Ltd for a period of up to ten years which, together with black ownership at Sasol, results in a total 25% black ownership in Sasol South Africa for the Khanyisa empowerment period. The earlier Inzalo scheme was implemented in 2008 but, unlike Inzalo, the fact that the new transaction is independent of the share price means an element of derisking for BEE shareholders. Khanyisa will use the Sasol BEE share, SOLBE1, for empowerment qualification. In the meantime, what is important to recall is that the health of the underlying company underpins Khanyisa. However well run the business, cash flows will be affected by the ebb and flow of the oil price and the rand exchange rate against the US dollar. What fundamental analysts on Sasol call “spot” earnings are calculated with reference to these two key variables, Brent crude oil in US dollars and the rand dollar exchange rate, and would be different from the base case assumption they would use in a full year forecast. For example, I may make an assumption that $80/bbl oil (the current level) is not sustainable for a full year and so I would use a less aggressive figure, say $70/bbl for conservatism and with reference to previous price cycles in the oil market. Similarly with the rand. We all know that the rand is volatile and prone to wild gyrations that are fed by local political and economic conditions and what is happening in other emerging markets or interest rates in the developed world. The current exchange rate is unlikely to be used as a benchmark for a full year exchange rate but it would have a bearing on “spot” earnings if I am to calculate what earnings per share would be if that rate held for twelve months. This is illustrated in the past week. Sasol spot earnings have been dampened by slightly lower Brent at $80/bbl and with refining margins falling back. 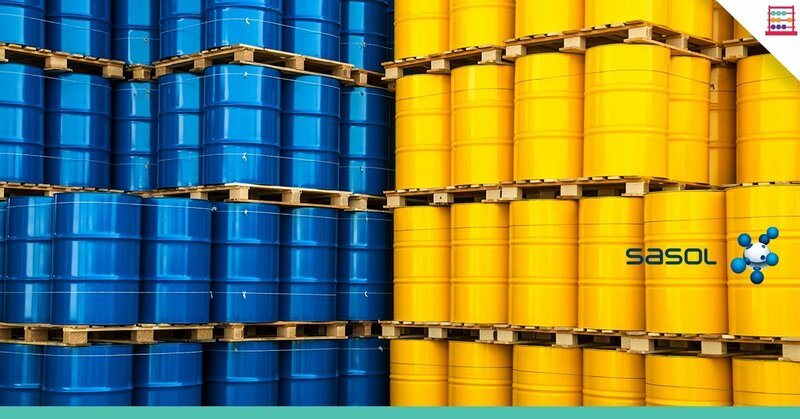 Brent is down 5% this past week, with Sasol refining margins down 11%, whilst ethane has fallen by 16%, ethylene down 2%, propylene flat and polymers such as LDPE flat. US natural gas meantime is up by 5% to $3.40. Nevertheless, at $80/bbl of oil Sasol is sitting pretty, for now. As a shareholder in Sasol, you doubtless wince at the filling station whilst filling your motor car with 93 unleaded at R16.85 per litre in Gauteng. Only in March 2018, you were paying R13.54 per litre for that same petrol. This means that a 60 litre petrol tank for a small to medium sized sedan car is costing R1,000. But, as a Sasol shareholder you have had compensation for that pain at the pump because the share price of Sasol since March 2018 is currently over 25% higher, as much as the cost of petrol has gone up. Sasol is sensitive to variables beyond management control, particularly petroleum derived products and currency. Because of the currency hedges Sasol has in place, around $4 billion, the weaker rand of late to the R14.50/$ region doesn’t have a significant earnings impact for 2019 fiscal. Sasol is buying predictability in cash flow at a time when capital expenditure and debt to equity is peaking at 38%. With Brent at $80/bbl and the rand at R14.50/$, my estimate of spot EPS in F2019 is R60, 20% higher than forecast EPS of R50 based on Brent at $70/bbl and the rand at R13.50/$. That is still quite a difference but not enough to move the needle on the share price at this stage. To put oil and the rand in to EPS context, if oil had to retreat to $60/bbl and the currency was $13,00/$, then EPS in F2019 would be approximately R34 per share, which is a 43% decrease on the current spot scenario. If oil had to rise to $90/bbl and the currency was $14,50/$, then spot EPS in F2019 would be approximately R80 per share, which is a 60% increase on the base case forecast of $70/bbl and R13.50/$. For F2020, my base EPS forecast is R61, assuming oil is $65/bbl (i.e. falling back from recent highs) and with the currency at R14.00/$. But if oil is at $80/bbl and the currency at R14.00/$, then EPS rises to R84. If oil was $90/bbl and the currency was $14,00/$ for a full year in F2020, then EPS would be approximately R100 per share. The debate among oil watchers in the industry is the degree to which oil is sustainable above $80/bbl, particularly if there are geo-political changes that improve supply. OPEC crude oil production increased by 100k/bbl per day in September to 32.78m/bbl per day and since May OPEC output increased by 735k/bbl per day. Total world oil production is now 100m/bbl per day, 2.6m/bbl per day more than twelve months ago. Demand and supply are broadly in balance and at historic highs. The concern is that exploration is not keeping up and that despite US shale, supply could remain constrained relative to demand. The longer oil remains in the $70/bbl to $80/bbl region and the rand stays higher than R14.00/$, then EPS is going to be closer to R60 per share rather than the R35 to R40 region, where it was in F2016 and F2017. 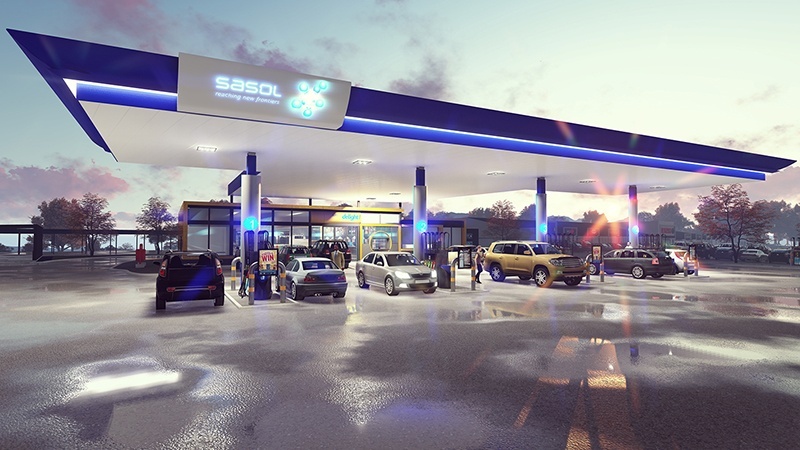 The share price has not proportionately matched the big differential between what Sasol will earn and what spot earnings could be if the oil price prevailed for a full financial year. This suggests scepticism as to the degree oil and currency will hold up in Sasol earnings favour for any length of time. The share has retreated from around R570 and at R524 is looking reasonable value but vulnerable to oil falling below $80/bbl and the rand firming. On forecast EPS, the forward PE is now 10.5x on the assumption Sasol makes R50 per share for the year ended June 2019. The mean PE for some years is around 10x. The gross dividend yield on forecast dividend of R19 for F2019 is 3.6% (2.9% after withholding tax). On a through the cycle view I maintain fair value and target price of up to R450 with pricing beyond that simply a function of where a higher level of spot EPS is relative to analysts’ consensus views on commodities. I retain my recommendation of keeping Sasol as part of a long-term core holding.